We are proud to present the shortlist of the European Press Prize 2019! 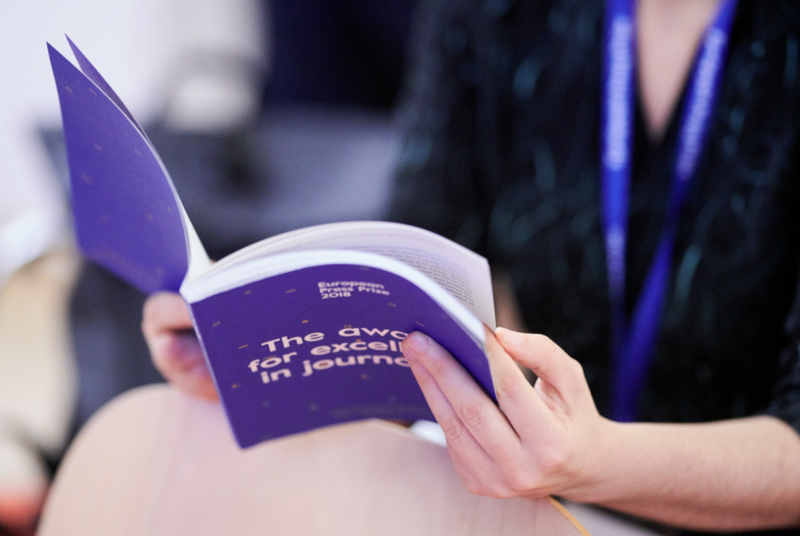 Hundreds of journalists from all across Europe have sent in their best work, and the preparatory committee has selected 23 groundbreaking, heartbreaking, innovative and inspiring stories for the shortlist. From Moldova to Spain, from Ireland to Italy, journalists from 17 different countries have been nominated this year. ‘56 days’ by Katrin Kuntz, Marian Blasberg (co-author), Christoph Scheuermann (contributor) (published by Der Spiegel, Germany). ‘Gaza. It’s time for change’ by Francesca Borri (published by Yedioth Ahronoth, Israel, La Repubblica, Italy). ‘If We Were Roma, We Would Not Come Back from Britain’ by Denisa Gdovinová and Filip Olsovsky (published by .týždeň, Slovakia). ‘I’m going for an HIV’ by Ekaterina Fomina (published by Novaya Gazeta, Russia). ‘Prisoners of the fourth floor’ by Ewa Wołkanowska-Kołodziej (published by Pismo. Magazyn Opinii, Poland). ‘Viktor Orbán’s reckless football obsession’ by Dan Nolan and David Goldblatt (published by The Guardian, UK). ‘The Drums of Democracy’ by Cătălina Dumbrăveanu, Ramin Mazur, John Donica, Victoria Colesnic and the Edges of Europe team (published by Are We Europe, International, and 360 Magazine, The Netherlands)). ‘Elections clouds cleared: which party, which candidate says what?’ by Efe Kerem Sözeri, published by P24 (Turkey). ‘Endgame’ by Maximilian Popp (published by Der Spiegel, Germany and The Black Sea, Romania). 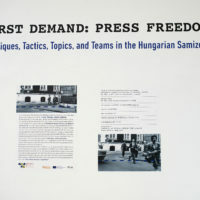 ‘Forbidden Stories’ by the organisation behind ‘Forbidden Stories’ and partners, which includes journalists from The Guardian (UK), La Republicca (Italy), Times of Malta, Le Monde (France), OCCRP (global), France 2, radio France, IRPI, Süddeutsche Zeitung (Germany), Die Zeit (Germany), Reuters (international), NDR (Germany), WDR (Germany), New York Times and dozens of others new organizations. ‘Palmyra, the other side’ by Guillermo Abril and Carlos Spottorno, featured in Süddeutsche Zeitung Magazin (Germany) & El País Semanal (Spain). ‘Radmesser’ by Michael Gegg and Fabian Altenried, Martin Baaske, Andreas Baum, Hans Hack, Jakob Kluge, Hendrik Lehmann, David Meidinger, Hannes Soltau and Helena Wittlich (published by Der Tagesspiegel, Germany). ‘Putin’s Bodyguards Rewarded with Land and Power’ by Roman Anin (published by Novaya Gazeta, Russia). ‘Money laundering at Danske Bank’ by Eva Jung, Simon Bendtsen and Michael Lund (published by Berlingske, Denmark, and many since then). ‘Myanmar Burning’ by Wa Lone, Kyaw Soe Oo, Simon Lewis, Antoni Slodkowski, Andrew R.C. Marshal, Zeba Siddiqui, Tom Lasseter, Poppy McPherson, Clare Baldwin, Steve Stecklow, Thu Thu Aung and Shoon Naing (published by Reuters, international). Note: Wa Lone and Kyaw Soe Oo were arrested and sentenced to seven years in prison in Myanmar while working on this investigation. ‘Propaganda War in Europe: The Far-Right Media’ by Nina Horaczek (published by Falter, Austria). ‘Unmasking the Salisbury Poisoning Suspects: A Four-Part Investigation’ by Christo Grozev, Roman Dobrokhotov and Daniel Romein (published by Bellingcat, UK). ‘Windrush Scandal’ by Amelia Gentleman (published by The Guardian, UK). ‘The end of Atlanticism: has Trump killed the ideology that won the cold war?’ by Madeleine Schwartz (The Guardian, UK). ‘Let’s continue talking about murder, not Fico’s media tyranny’ by Beata Balogova (published by SME, Slovakia). ‘Someone I wish I hadn’t known’ by Vera Mulder (published by De Correspondent, The Netherlands). ‘Trial runs for fascism are in full flow’ by Fintan O’Toole (published by The Irish Times, Ireland). ‘Use article 7 against my country’ by Radu Dumitrescu (published by The New Federalist, Romania). All shortlisted articles will be published in English here before May 23. To receive the stories in your inbox, sign up to the European Press Prize newsletter here. The European Press Prize celebrates the highest achievements in European journalism. The prize is made possible by a number of European media foundations who strive to encourage quality journalism in Europe: The Guardian Foundation, Thomson Reuters Foundation, The Politiken Foundation, Foundation Veronica, The Jyllands-Posten Foundation and Democracy and Media Foundation and The Irish Times Trust Limited. 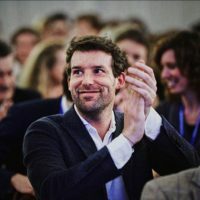 The prize partners with the Media Development Investment Fund, Agora Foundation (host of the 2019 ceremony), ANP and founding place De Balie. The European Press Prize is awarded in 4 categories: Distinguished Reporting, Innovation, Opinion and Investigative Reporting. The judges award a Special Award for excellent journalism to one striking entry which defies categories and disciplines. Each award is worth €10.000. 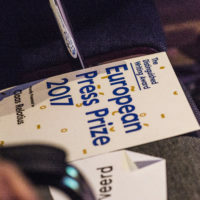 European Press Prize winners and nominees from previous years include among many others Miranda Patrucic (OCCRP), Alan Rusbridger (The Guardian), Rutger Bregman (De Correspondent) and Christiaan Triebert (Bellingcat, New York Times). This year’s preparatory committee consists of Denis Staunton (The Irish Times), Belinda Goldsmith (Thomas Reuters Foundation), Annette Bruhns (Der Spiegel), Bartosz Wieliński (Gazeta Wyborcza), Heikelina Verrijn Stuart (Democracy and Media Foundation), Konstanty Gebert (MDIF), Patrice Schneider (MDIF), Uffe Riis Sørensen (Jyllands-Posten Foundation) and Anna Husarska (International Rescue Committee). Five winners will be chosen by our panel of judges. The panel of judges for this year consists of chairman Sir Harold Evans (Editor-at-large at Reuters), Sylvie Kauffmann (editorial director Le Monde), Jørgen Ejbøl (Vice Chairman Jyllands-Posten Foundation), Yevgenia Albats (Editor-in-chief The New Times) and Alexandra Föderl-Schmid (Correspondent Süddeutsche Zeitung for Israel and the Palestine territories). 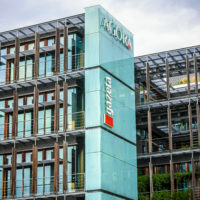 The winners will be announced during the award ceremony on May 23, which will take place in Warsaw at the Gazeta Wyborcza.